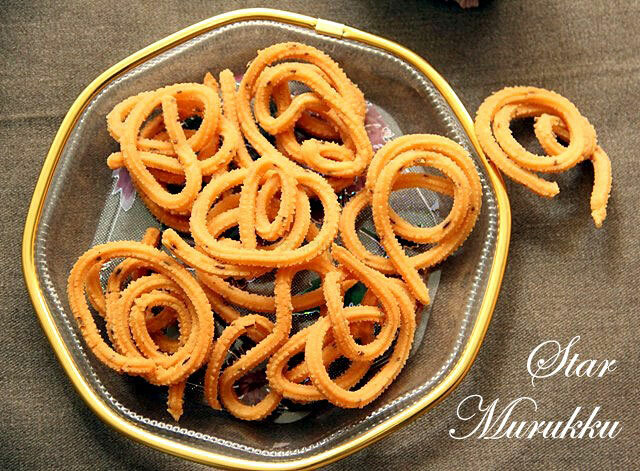 All time favourite home made crunchy South Indian snack! 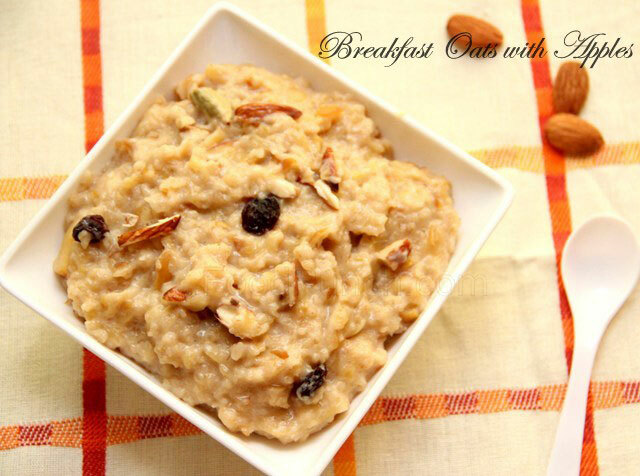 Healthy and delicious Breakfast oats with apples along with added flavors of almonds and cardamom. If you have a stock of oats in your kitchen, don’t think oatmeal is your only option. When oats are cooked in almond milk and combined with apples they make an innovative, exclusive, and easy to love dessert. It is a delicious way to pep up your regular oat and i absolutely loved this breakfast oats with apple recipe!! It reminded me of the prasadam in one of our Andhra temples…. A delicious dark chocolate flourless cake, perfect little crunch on top and gooey within to celebrate love this Valentine’s. 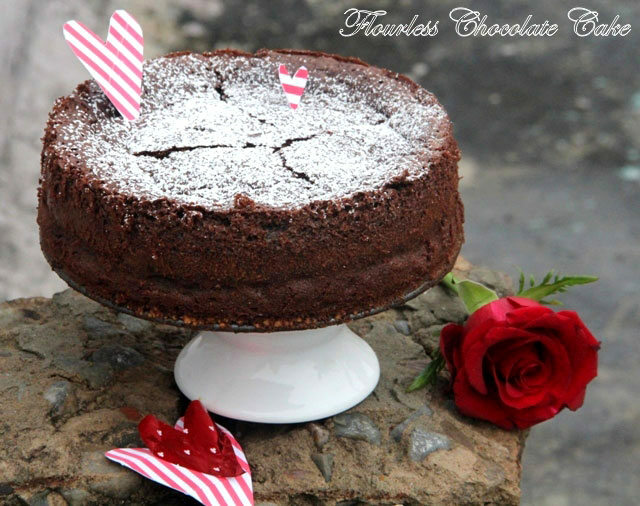 Chocolate and romance have a long established association and this flourless chocolate cake recipes is how I am celebrating the spirit of love and romance this Valentines in my kitchen. If you are in Delhi you’d agree that this rain soaked Valentine’s Day needed nothing but some warming, indulgent mood-lifting recipe, a recipe to force you out of the quilt and make you fall in love all over again…. 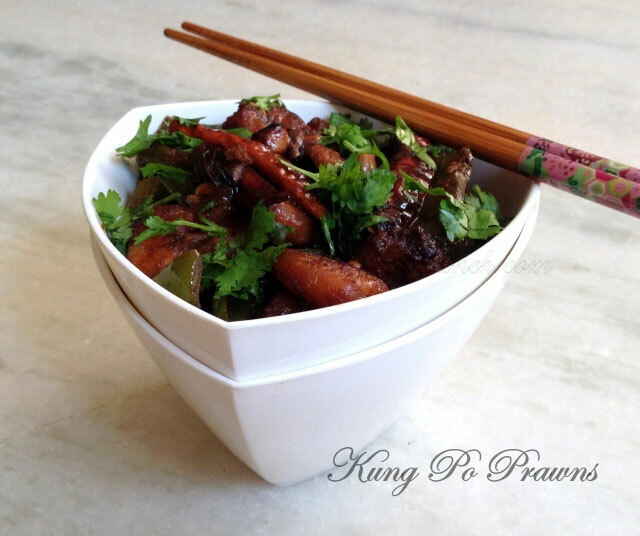 Delicious Chinese, smoky hint of sesame oil, peanuts and Prawns make this classic Chinese dish irresistible. A popular Chinese dish, I personally love the toasted nuttiness of the sesame oil and peanuts, which go along with the prawns. Although, I cooked this dish for the first, but I was glad that I got it bang on right…. 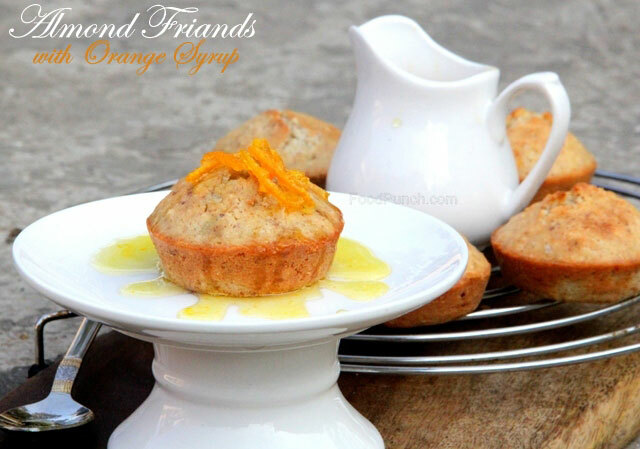 Almond friands, the French cake with a generous Orange syrup drizzle makes it super moist and delicious! The friends are small French cakes that I had discovered last year during our memorable trails across the French moors (read about it here, here and here). The petite little sweet poisons I must warn can be addictive, and yet I wonder what took me so long to attempt one here in my kitchen, but what better than the love-week of Feb for thee almonds friands with orange syrup recipe to arrive. 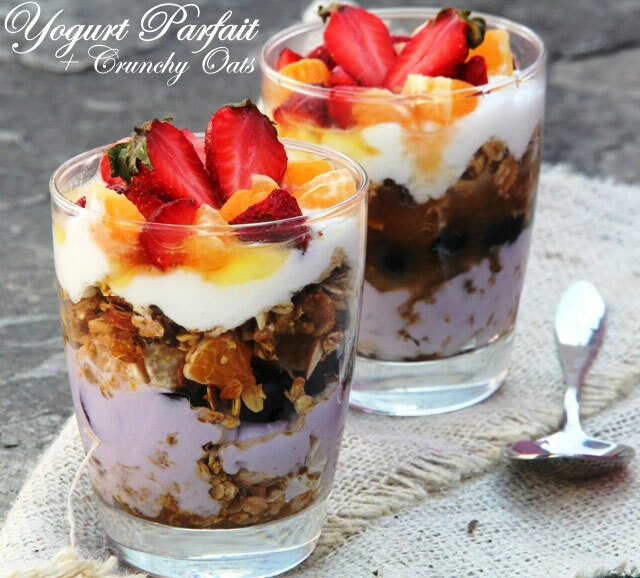 A yogurt parfait recipe with crunchy oats, flavoured yogurt and fresh fruits. A healthy Sunday might sound like the most unusual idea, especially coming from me. Though I’ve been using Sunday as my excuse for indulgence but this inviting tall glass of a crunchy healthy Yogurt Parfait forced me to go healthy this morning…. 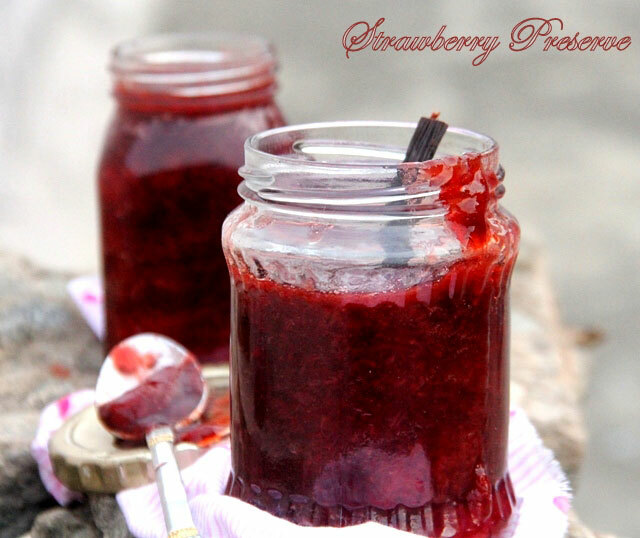 Homemade fresh Strawberries preserve, stock and enjoy your favourite fruit for the whole year long. The strawberry preserve recipe is prepared, canned and stored for the summers. A good preserve is one of my best prized possessions, I like stocking up the refrigerator with them. It simply makes life easy and delicious all the year long, it’s the best fix to all sweet cravings and an awesome ingredient to go over cakes, bakes, cookies and crackers…. 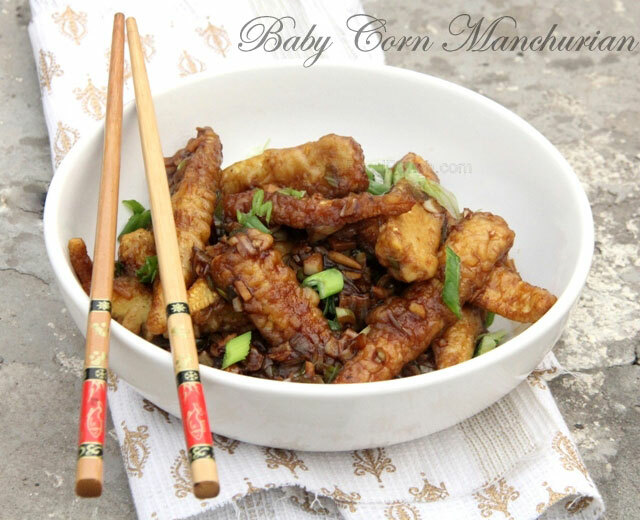 A crispy, spicy Baby Corn Manchurian, our favourite Indo-Chinese anytime snack. Latest addition to our Indo-Chinese favourites is this Baby Corn Manchurian recipe. It is keeping in line with our age long love with this style of cooking and building up a stock of recipes for the vegetarians, for I often receive requests or comments for veg recipes….